Air signs such as Aquarius are not suited to solitary or repetitive work. The best jobs for Aquarius involve a wide variety of tasks or responsibilities, new experiences, and social interaction. Aquarians usually prefer working with groups rather than in isolation (an Aquarian freelancer will often choose to work in cafes or other shared spaces rather than alone at home). The air signs also tend to be open to adopting new technologies, so they are suited to technology-oriented professions. Aquarians grow bored more quickly than most in traditional 9-5 jobs. Although not suited to working alone, they often have difficulty with authority, so they do best as part of an egalitarian group rather than a hierarchical structure. The ideal Aquarian job provides flexibility and the opportunity to labor on behalf of a good cause. Aquarians can’t tolerate being bossed around (even by a boss), which makes traditional work settings challenging for them, particularly if they get stuck with draconian supervisors. However, typical Aquarians are more inclined to choose interesting careers than well-paid ones. Unusual and intellectually stimulating careers are best for this sign, though some are drawn to certain athletic pursuits as well, and many have a particular affinity for snow and ice sports and cycling. Note: The sun sign is only one element within an astrological profile. Many other factors play a role, including rising and moon signs. For example, a person with the sun in Aquarius and Capricorn rising will do better in the 9-5 business world than a typical Aquarius. 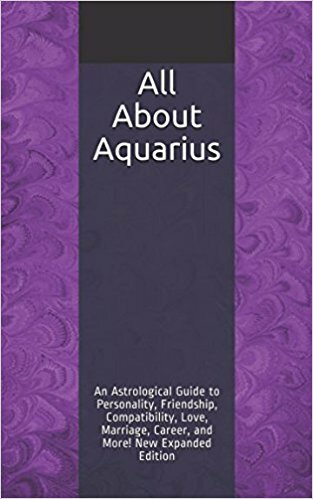 For more on Aquarius, see Aquarius Personality Profile, Aquarius Love and Friendship Style, Famous Aquarians, and Aquarius Marriage and Compatibility. For a full list of astrology articles, see the main Astrology page.